Dear readers... Thank you so much for your warmth and all the wishes that you have been showering on me and my humble blog this past month and over the years. When I came up with the idea of the Street Food Series, I was indeed a bit selfish as I LOVE street food. But I am so thrilled to discover that this particular genre of food shares a soft spot in so many of your hearts as well!!!! Today, I have a special treat. We are transported to one of my favorite cultures and a region that I fervently hope that I get an opportunity to live in and relish atleast for some time... FRANCE!!!!!! Vive le France. Vous savez combien j'aime toutes les choses "Français ". J'essaie d'apprendre la langue, la culture et la cuisine autant que je peux. Aujourd'hui, je suis honoré que Hélène est écrit pour mon blog et elle partage avec nous, la recette de la Provençal Pissaladiere. I (as many of you, as well) have been an admirer of Helene's work, her photography and mouthwatering creations for sooo long!! Across this blog, you would and will see many mentions of her blog as inspirations, ideas and a massive source of learning! Whether one has been blogging six days, six months or six years, blog anniversaries are a big deal. Lots of love, passion, dedication and bits of one self go into putting a post together. Whatever your purpose, whatever your goal, blogging is an intimate moment when you let someone onto a page you create. When I met Asha last April during Food Blog Forum Orlando, it felt as if I were finally meeting a long distance friend although her pictures and words had been right at my fingertips for two years now. Asha is not shy, nor is she flamboyant. Asha has a craving for learning. And working. And constantly making her work better and more beautiful. 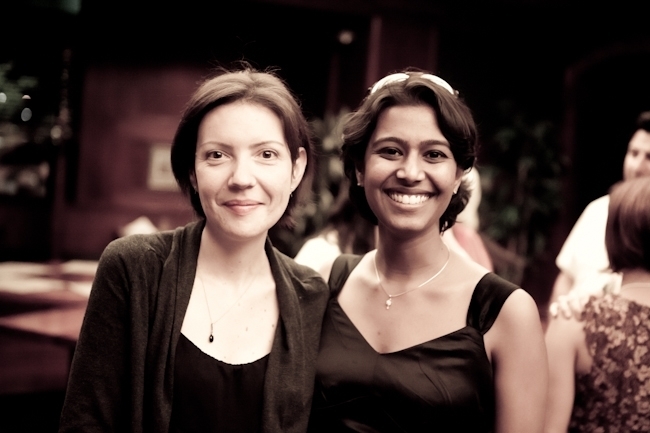 Asha's blog is now three years old... I did a double take when she told me. It has been a tremendous source of joy to read her posts over the last few years. I have loved and appreciated seeing both her writing and visual voices find their groove, tone, balance. What you see on Asha's blog is 100% honest and authentic. And beautiful. To celebrate her two year blog anniversary, Asha came up with the idea to gather posts about street foods or easy to transport specialties from all over the world. Throughout the month of May, she had different bloggers write about and photograph their own street food cultures. I was extremely honored when she asked me to participate (pressure of not crashing a fun party..!) but I was a bit stumped at first. With a culture of bistros, cafes and a love to sit down for a meal, I don't think France has a deep street food culture. It does to some extent have many "easy to transport" foods like roasted chestnuts and crepes or specialties like the famous "jambon - beurre" sandwich, friand au fromage or hot socca that one can easily grab at the corner deli or bakery. When I asked my friend Fanny who is also from Provence about what would be considered street food for Provence, she enthusiastically answered "Socca!". To which I replied "Yeah...but that's Nice, that's your street food. I'm further North in Provence. We don't do socca much up there." That's when we both looked at each other knowing we had the perfect Provencal compromise and bursted "Pissaladiere!" 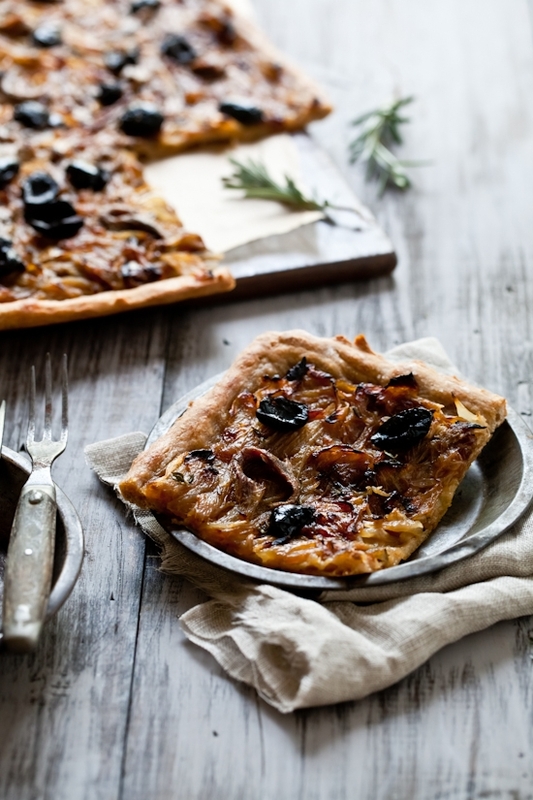 Pissaladiere, a specialty from my native Provence indeed falls right into the category of portable foods. 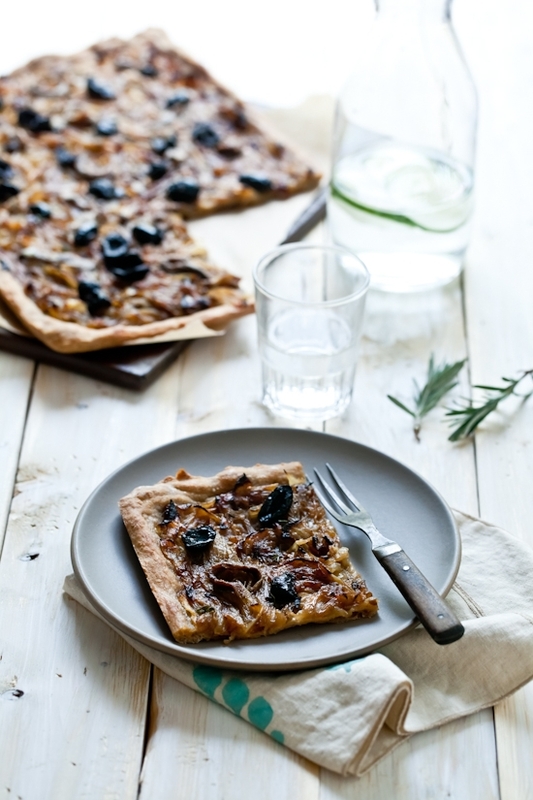 Its thin pizza like yeasted crust is topped with a thick layer of caramelized onions, anchovies and olives. That's it. No sauce, no fancy ingredients. Yet, everytime I make it, we truly feel like kings with every bite melting in our mouths, revealing each time a new depth of flavor. That's one of the main aspects of Provencal cooking. Easy, clean flavors, fresh ingredients and lots of sharing with family and friends. Back home we say that you can spot a good pissaladiere when the layer of onions is at least half thicker than the crust it is covering. Slice a lot of them! The process of cooking them down until caramelized can take some time (anywhere from 30 minutes to an hour depending on the size of your pan) but you can easily make the most our of your time by doing that while the dough is rising. I cook the onions with a mix of basil, thyme, rosemary and oregano as well as little secret ingredient I recently started to use in my Pissaladiere. The ways to make Pissaladiere are as varies as the cooks and chefs who make it. 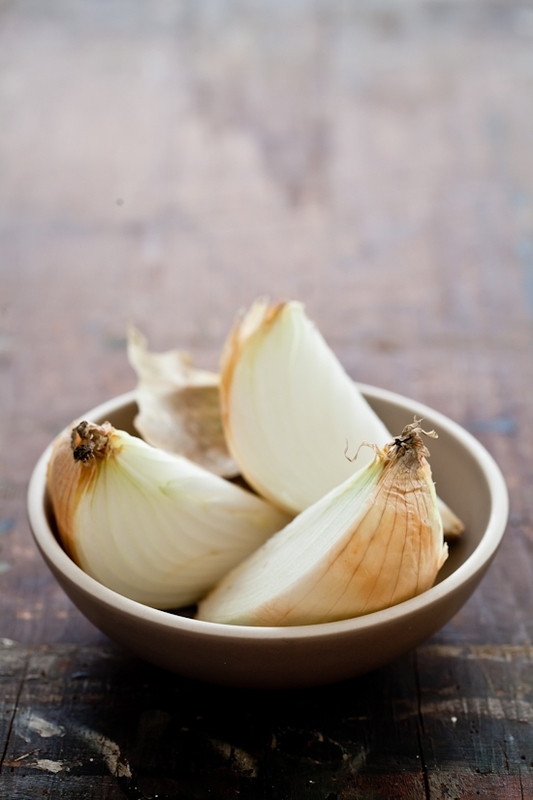 Indeed, some will top the onions with anchovies while some incorporate some of them as the onions finish cooking. I am of the latter camp. It is the closest I got to the condiment pissalat (anchovy puree) that we use back home. Half the anchovies get mixed in, half gets scattered on top of the pissaladiere. That's my rule...ahaha! I love how they create a soft and falvorful anchovy butter right there with the herbs and onions. 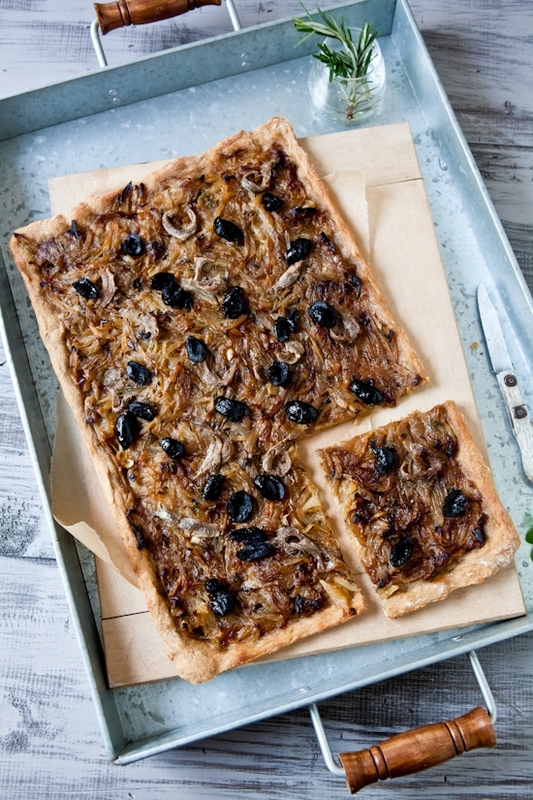 I guarantee that if you have guests who are so-so about cured anchovies, the fact of melting about half in with the onions will mellow their taste and might make your guests fall in love anchovies after all! Last come the olives. Some will say to use only tiny Nicoise olives, some swear by Kalamata, etc...I say, use the kind you love because it'll be the one you will enjoy eating the most on the tart. 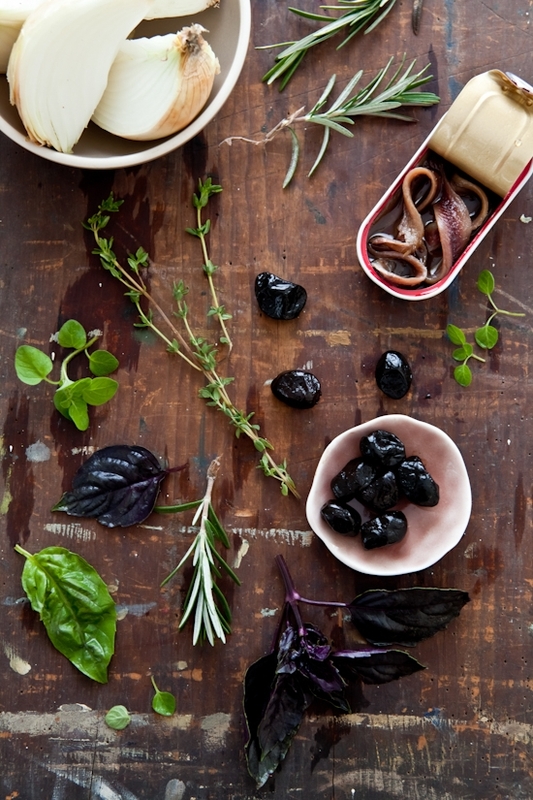 Personally, I like to use Italian cured olives. Good size, salty and mild at the same time so they don't clash with the rest of the ingredients. Once everything comes together, you are close to digging in a slice of Provencal sunshine...Enjoy! Note: All photographs are copyrighted to Helene Dujardin. Please contact her for use/license. Note: some recipes call for puff pastry instead of a yeast based crust. If you as my grandmother, she'd tell you it's pure heresy to use puff pastry here. See? Every cook has a different way to make it. Same for the toppings. Everytime my grandmother would read a pissaladiere recipe calling for capers, her blood would start boiling. But there are such recipes. The one below is the one I grew up eating. And well...! Place the yeast in the warm water in a small bowl and let stand for 5 minutes. Place in stand mixer fitted with the dough attachment. Add the oilve oil flour and salt in and start mixing on low speed. Add a little bit of water if you feel like the dough is still dry (should be smooth and elastic. Place the dough on a lightly floured work surface and knead for several minutes until the dough is form but smooth with no visible cracks from lack of moisture. Place in a lightly oiled bowl and cover with a damp towel. Allow dough to rise in a warm, draft free spot for about 1 hour. Heat the olive oil in a large pan over medium-low heat. Add onions and season with salt and pepper. Add the herbs and let the onions cook and caramelize for 45 minutes to an hour, uncovered, stirring occasionally. Add the pastis continue cooking until the moisture has evaporated, about 10 more minutes. Add about 12 anchovy fillets and cook an extra minute. Remove the herbs and set aside. Preheat to 375°F. Roll the dough on a floured surface into a thin 10x15-inch rectangle. Transfer the dough to an inverted baking sheet dusted with cornmeal. Cover dough with a damp cloth and let rest for 10 minutes. When ready, spread the onion mixture on top. Add the olives and anchovies over the onions. Bake 15-20 minutes. Serve warm or at room temperature.